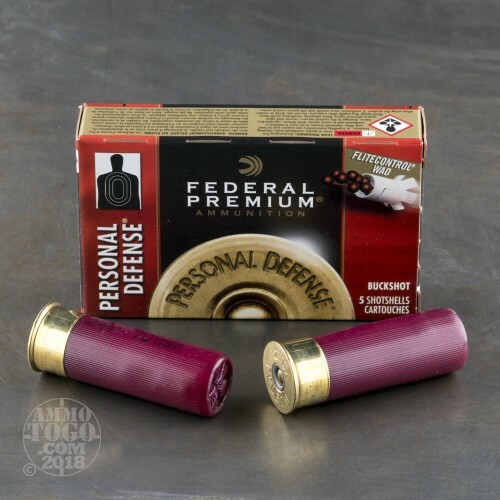 This package contains 250 rounds of Federal Premium Personal Defense 12 gauge ammunition. Featuring Federal’s patented rear-braking FLITECONTROL wad, these specialized payloads produce patterns and penetration optimized for the unique needs of self-defense situations. FLITECONTROL is a unique and patented wad design that stays with the shot longer, keeping patterns tight and velocities high for some of the tightest shot patterns on the market. 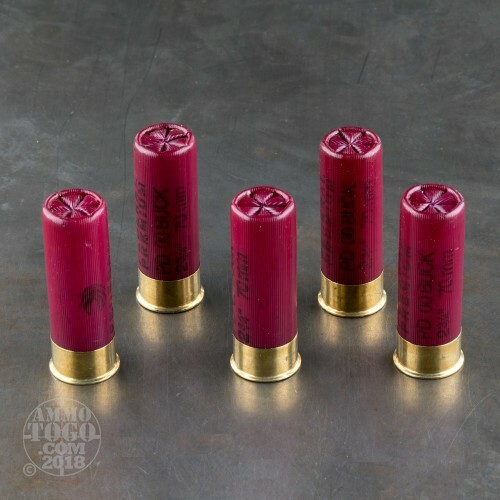 Each of these 2 ¾ inch shotshells is loaded with 9 pellets of copper-plated lead 00 buckshot. 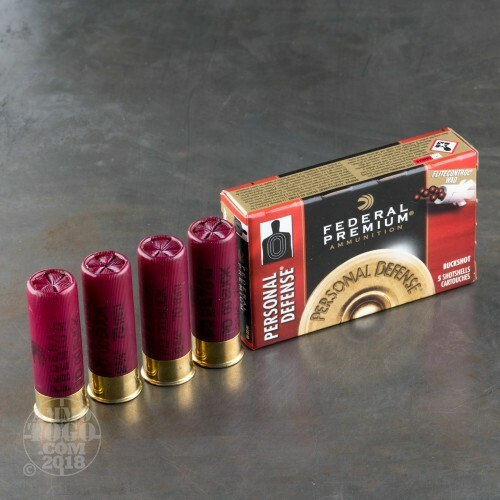 Designed to reduce felt recoil, these specialized rounds deliver incredible accuracy and great shot-to-shot recovery. 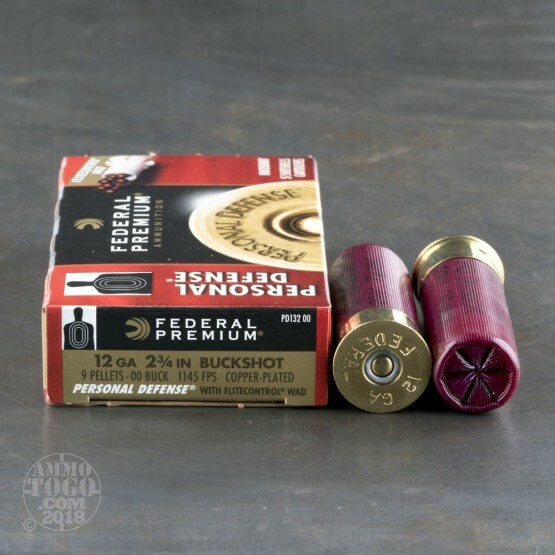 Federal Tactical buckshot also features a solid brass head for reliable function. This helps eliminate the extraction issues often caused by the swelling of brass-plated steel. Producing a muzzle velocity of 1145 feet per second, these personal defense loads transform any pump action or semi-automatic shotgun into a precision weapon without the addition of expensive aftermarket choke tubes or barrel alterations.